The Skinny: This seems like a make or break year for young Richard Pitino as while he's taken Tubby's guys to a NIT championship and finally won a NCAA tourney game as a 5 seed he's also had a couple of turd seasons with rosters plagued by injury and suspension. At this point the Gophers look like a fringe NCAA tourney team with 2 neutral court wins and a talented roster with a key member set to return shortly. Pitino probably is ok this year and is back again but as Sunday's beat down in Columbus shows you this is a buzzsaw type B1G conference with few gimmes. Minnesota offensively looks like the 13-14 tourney Huskers where that needed to augment their offense with FTs or else they struggle to crack 70. The Huskers have been giving up some easy looks inside at the expense of protecting the 3pt line but a switch in strategy against a team currently with only one reliable outside shooter might be in the cards. Last year Nebraska threw double teams at the Gophers and we should see some zone. The biggest problem with this team seems to be the lack of replacement for graduated PG Nate Mason which only compounds the spacing issues of a team often plays two traditional bigs. It's probable Nebraska can throttle yet another team defensively so the question that we'll often try to answer on the road in this conference is 'Will we find enough offense?' The name Pitino makes you think of pressure and steals but that's not what this team does. The Gophers are solid with all that length but they deploy a fairly pedestrian defense put often aren't disciplined and they will put you on the line. 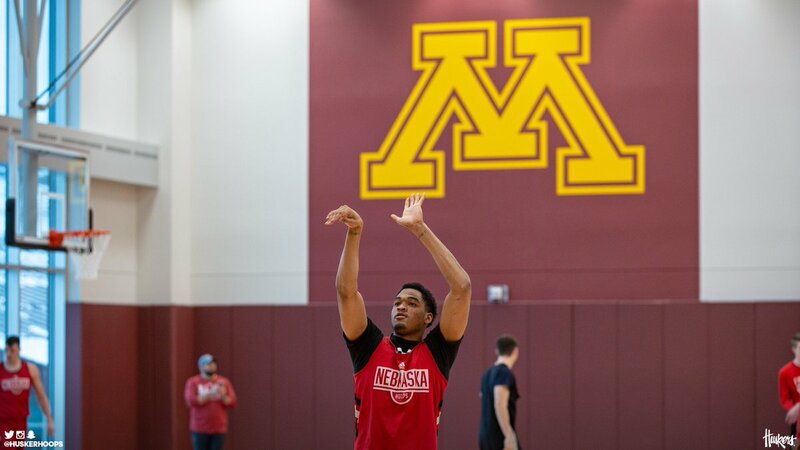 A patient offense that doesn't feed the Gopher transition game will get the job done here. We won up here last year and it was difficult against a struggling Gopher squad. A team like Michigan who has been killing anyone almost lost in Evansville last night so this is no gimmie. Road games are tough, that's why they're valued more by the tourney committee. Look for this Husker team to find a way. Roby is going slump-busting tonight!!! Lets Goooooooo!!! I'd be delighted to see Roby crack 20 tonight. Heck, I'd be happy to see him crack 10, to be honest. He's only done that twice so far. 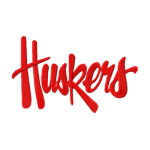 I like that traditional font over the “Nebraska” script. Speaking as an extremely biased fan, my favorite uniform in ALL of sports is the road Red of dear Old Nebraska U. Only site appropriate photo, hope I don't get a virus. Rich P. stated that he expected him to play.